SUMMARY: Travel to a world of dark bargains struck by moonlight, of haunted towns and hungry woods, of talking beasts and gingerbread golems, where a young mermaid’s voice can summon deadly storms and where a river might do a lovestruck boy’s bidding but only for a terrible price. REVIEW: This book is a collection of six different stories. I won’t be reviewing each story but instead just reviewing the book as a whole. My favorite story of the six was the last one, which was a spinoff of the Little Mermaid. I’m not a huge fan of the Little Mermaid movie, so it was a surprise to me that I enjoyed this story so much. It’s much more of a prequel to how the Little Mermaid and Ursula came to be. Each story was innovative and filled with a dark, yet magical retelling of well-known fairy tales that children grew up reading and watching. The writing was fantastic as usual; I expect no less from Leigh Bardugo. She has a way with her words that really pull you into the world you read about. Even though there were colorful illustrations throughout each story, evolving as you delved deeper, her words were more than enough to paint the picture in your mind. The illustrations were positively beautiful. It made the book even more magical. Each story starts with a small, humble image. However as you continue to read on, more and more details are added to the illustrations, until the end where a full illustration emerges. I’ve never seen a book quite like this and it can be considered a classic on its own. Overall, I would highly recommend you pick up a copy. It’s definitely something you’ll want in your collection. And when you’re feeling a little dangerous, crack open this book and read yourself a dark bedtime story. Get your copy of The Language of Thorns by Leigh Bardugo here! What Do You Do With An Idea: This is the story of one brilliant idea and the child who helps to bring it into the world. As the child’s confidence grows, so does the idea itself. And then, one day, something amazing happens. This is a story for anyone, at any age, who’s ever had an idea that seemed a little too big, too odd, too difficult. It’s a story to inspire you to welcome that idea, to give it some space to grow, and to see what happens next. Because your idea isn’t going anywhere. In fact, it’s just getting started. What Do You Do With A Problem: From the same author and illustrator as the #1 nationally best-selling What Do You Do With an Idea? comes a new book to encourage you to look closely at problems and discover the possibilities they can hold. This is the story of a persistent problem and the child who isn’t so sure what to make of it. The longer the problem is avoided, the bigger it seems to get. But when the child finally musters up the courage to face it, the problem turns out to be something quite different than it appeared. Despite what you may think, picture books are not just for children. There are deep meanings hidden between its simple wording and colorful pages. Yamada’s three picture books, What Do You Do With An Idea, What Do You Do with A Problem, and What Do You Do With A Chance, are by far one of the cutest and most meaningful children’s picture books that I have ever read. The illustrations are so tasteful and creative that you can’t help but want to turn the page to see what’s on it. The one aspect of the illustration that really stuck out to me was the gradual saturation that increases as you continue to read the book. By the end of the book you get your full glorious brightness of the illustration. What Do You Do With An Idea: The idea is illustrated as an egg. Eggs are viewed as fragile but also the beginning of life. You need to keep an egg warm and close to you for it to hatch into this new life. I thought it was the perfect representation of something intangible as an idea. This was the first book of Yamada’s that I read. I was attracted to the simple cover and ended up reading the whole book in a Target. Once I finished, I immediately bought it. I had to have my own copy because it was such an innovative idea (see what I did there? haha). I then proceeded to ordering all of Yamada’s other books as well. What Do You Do With A Problem: The problem is illustrated as this dark ominous cloud in the sky that follows the little boy. Problems never disappear and will hover and cast a shadow over you for as long as it may. The ending illustration for this book was fantastic! The two-page spread was explosive and shows that though problems may look dark in the beginning, they can reveal great new opportunities. What Do You Do With A Chance: The chance is illustrated as an origami butterfly. It’s small in the beginning, but bright and magical. Like a butterfly, chances will flutter around but eventually it flies away if you don’t take a hold of it. Third book by Yamada and I wasn’t disappointed. Overall, I recommend all three books to read. If you have children or if you want to take a little breather from the more serious pieces of literature, these three books are a great choice. SUMMARY: When kingdom come, there will be one. In every generation on the island of Fennbirn, a set of triplets is born—three queens, all equal heirs to the crown and each possessor of a coveted magic. Mirabella is a fierce elemental, able to spark hungry flames or vicious storms at the snap of her fingers. Katharine is a poisoner, one who can ingest the deadliest poisons without so much as a stomachache. Arsinoe, a naturalist, is said to have the ability to bloom the reddest rose and control the fiercest of lions. But becoming the Queen Crowned isn’t solely a matter of royal birth. Each sister has to fight for it. And it’s not just a game of win or lose…it’s life or death. The night the sisters turn sixteen, the battle begins. The last queen standing gets the crown. Overall, I only enjoyed around 20% of the book, which were the last 100 pages or so. The beginning dragged on and I’m guessing the author was taking her time to really get readers to buy into each of the queens’ characters/personalities, but at times I found it really long and uninteresting. There were parts in each queen’s story that I thought were repetitive and unnecessary. Also, for most of the book, I didn’t really enjoy any one character and couldn’t find myself attached to any. However, that could have been the author’s intentions to keep readers from cheering on any one of the queens throughout the book. 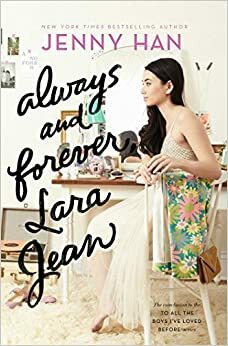 Character Development: There really wasn’t any present throughout the book, but from the few reviews I read about the second installment, it seems most of the growth will happen in the next book. I’ll talk about a few of my favorite to least favorite characters. Arsinoe: The Naturalist queen. Her personality was the most dynamic and interesting. I found her refreshing and honest. She accepted the fact that she was “giftless” yet she was doing everything she could to make some sort of gift arise from inside her. Her efforts were admirable despite the fact her methods may not have been. I enjoyed reading her chapters as I found myself curious as to what she would do next. Her relationship with Jules and Camden were heartwarming. I love them both. Jules & Camden: Jules is one of my most favorite characters. She’s true to herself and Arsinoe. Her loyalty and honest to goodness towards her friends is to die for her. She never waivers and her strong personality always shines in whatever she does. I’m sure the next book has a lot in store for her. Mirabella: The Elemental queen. Known to be the strongest with the backing of the High Priestess, she’s destined to be the reigning queen. However, her powerful exterior conflicts with her delicate heart. Though she was the strongest of her sisters, she was the most empathetic and hesitant. She was misunderstood because of the image the priestesses painted of her. She was frustrating to read about at times, because if she took a little bit more of an initiative a lot of the problems would have been solved. I hate when miscommunication is a factor of a problem remaining unsolved. Katherine: The Poison queen. She’s my least favorite. Her character is just unlikable in my opinion. If I were to guess, I would say she is only going to get worse in the next book. I didn’t like her in the first and I’m pretty sure I’ll dislike her even more in the next book if she stays on the same path. Joseph: I hate this guy. I’m not going to spoil the book, but in the beginning I really enjoyed reading about him with Jules. But by the end of the book I wanted to strangle him. He’s so worthless and his words never support his actions. Weak-minded guys are the worst. Overall, I would recommend this book if you’ve got nothing on your list to read. It’s not an immediate go out and buy type of book, but maybe more of a library check out kind. The cover is beautiful though. It was well written and though some people might find the shifting perspectives jarring, I thought it was organized enough to follow without getting confused. Just be prepared to have to trudge through at least 75-80% of the book before you can really get into it. The ending was very interesting and I didn’t see the twist at the end–the cliffhanger at the end itself makes me want to read the second just to see what happens. Though I have no strong attachments to any of the characters to see how things turn out for them. Excited to say that I will be publishing my first children’s picture book by the end of April! Moon Lily is about a white flower who wants to be beautiful. She journeys to become beautiful and meets many beautiful things, but can’t seem to find beauty in herself. When she meets a guiding light, the true meaning of beauty is revealed to Lily. Paperback and hardcover copies will be available on Amazon! It has been the alpha and omega of writing ruts for me. Looking back, I posted my last article on February 1…of 2016! Starting 2016 off, I had just released Kalcyon, the second installment in The Phoenix Ashes Trilogy, and planned to complete the last book by the end of the year. Quite ambitious, even for me, but I always work better under pressure. Deadlines push me forward because of my resolute belief that failure is a result of your own laziness, at least 90% of the time. It has been a little over a year since I have touched my trilogy, not because I didn’t want to write but because it was one of the busiest years for me. If you are the type of person who cannot stay idle for too long without wanting to pull your hair out, then you and I are in the same boat. If I find there is extra time in my schedule, I always find something new to fill it with. When I had first started writing, I was going through a transition of “professions.” This allowed me more flexibility and free time than most people, since my job did not revolve around the cookie cutter 9 to 5 office job. I was by no means making any financial progress, but I was also in my mid-20’s and decided that this was the perfect time to pursue my passions and discover new ones. And when I start something I take it as far as I can. Anyways, I watched a Korean drama that gained instant popularity from its unique story line and perfect cast. Goblin was a fantasy take on an old Korean tale about goblins–it is nothing like the goblins American’s would picture. Read the synopsis of the drama here. Watching this drama made my creative nerve itch; this always happens whenever I read or watch something that piques my interest. There was a specific belief that was introduced and woven through the drama and its characters. While, I will not take this time to go into a debate of reincarnation, I will say that I see my current life going through these stages. 1990-2015: Season of Sowing. From the moment I was born, until the end of 2015, I had been preparing the land and sowing my seeds. Though there were times I stumbled and lost my way, it brought me to where I needed to be. 2017-? : Season of Reaping. If all goes as planned, the crops are going to be in full bloom. Even though my workload would be increasing, it would be the best thing that has ever happened. The downside is that the growing of one business means the draining of another part of my life. But, it is funny how the world works. The slightest change or single conversation can switch your gears to turn in the opposite direction; it can remind you of where you were two years ago. 2014 me and 2016 me were two totally different beings. Despite advancing into a new stage of your life, remembering how you were before will renew you in a way that will propel you forward. The biggest failure in life is not finishing something you started. And today I had an unexpected reminder of that. An innocent conversation with a few kids made me remember my passions for writing. Money and fame do not define a passion. The passion exists because you love and will do it no matter what anybody says, no matter the benefits or consequences, and no matter how little time you may have to accomplish it. Six dangerous outcasts. One impossible heist. Kaz’s crew is the only thing that might stand between the world and destruction―if they don’t kill each other first. The first thing I’ll mention is that the book is written from six different perspectives. When I first heard this, I was a tad bit skeptical because I’ve read books that bounce between characters and sometimes they begin meshing and you end up losing track of who’s who. But, not once did I get confused while reading Six of Crows. I always knew who was speaking because they each had such a specific feel. And I appreciated the fact that Bardugo delved deeper into the background of each character, really only giving us small tastes into each personal drive for committing themselves to this impossible heist. There was no repetition of the story and it flowed so flawlessly that I really felt as if I was part of the heist itself! Weakness. Six outcasts with special sets of skills, yet still human with their own weakness. First driven by money and greed, each outcast discovers something about themselves and their true reasoning for agreeing to the heist. The way Bardugo unravels the history of each character humanizes them and even though they have done terrible things, you feel for them. Everyone has a weakness, even someone who seems so untouchable as Kaz Brekker, it only takes one moment to realize that no one is without a weakness. KAZ BREKKER: Kaz is the leader, the brains, the mastermind. Despite his bad leg and young age, people fear him and know he is a force to be reckoned with. Kaz is a thinker and a solver; never giving in to failure, he always finds a way. I can’t wait to see what Kaz has up his sleeve for the next book. He has been so hardened by his past that he doesn’t allow himself to show any vulnerability, but I do hope he’ll find that there is more to life than money. INEJ: Inej is a Suli girl who makes a name for herself as the Wraith of the Dregs. She’s a strong and capable young girl. Despite her past at the menagerie, she devoted herself to overcoming the darkness and becoming someone others fear and respect, while staying true to herself and her Suli beliefs. NINA: Nina is a Corporalnik Grisha. Despite her beauty, she has a sharp wit and mouth. Despite what you may think, Nina is the most selfless character. She’s never really thinking of herself and acts for the greater good of others. MATTHIAS: Matthias has a bittersweet past with Nina as he was betrayed and convicted of a crime he had never committed. He’s a Fjerdan who is also betraying his home country, ironically to be reinstated his freedom to it. He made me nervous at times because if anyone was going to betray the group, it would be Matthias. But as Kaz says, Matthias is too “decent” a man. WYLAN: Wylan is a mercher’s son who ran away. At first Kaz adds him to the heist more so as leverage for the exchange after the heist, but Wylan proves to be quite useful during the heist. At the beginning, he acts like a nervous, naive young boy who doesn’t belong with the seasoned group. However, he grows stronger and more confident in himself as he finds a place among the other outcasts. One thing I do want to know is if others noticed the similarities between Fjerdan-Grisha conflict and Nazi Germany. I’m not sure if the connection was intentional or if I’m just reading into it too much, but it reminded me of the Nazi regime. The Fjerdan (Nazis) hate the Grisha (Jews) and basically burn them on stakes and run tests on them because they’re different and have powers they don’t believe they should have. I guess I made the connection more so because the Fjerdans are described to have blonde hair and blue eyes. It might not have been intentional, but I thought it was something worth mentioning. I’m curious to see if anyone else made that reference too. Anyway, I DEFINITELY recommend you read this book. It’s fantastic and you will not be disappointed. 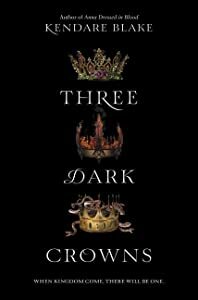 It’s also a duology and Crooked Kingdom is slated to release in September! I can’t wait.